The Al Habtoor Group has appointed Rahim Abu Omar as new Chief Operating Officer – Hospitality Division effective as of 22 October 2018. With four decades of hospitality experience, Abu Omar rejoins the Al Habtoor Group executive team in Dubai to steer a solid portfolio of 14 luxury hotels, seven in the United Arab Emirates and seven abroad – in the United Kingdom, United States, Lebanon, Austria and Hungary. 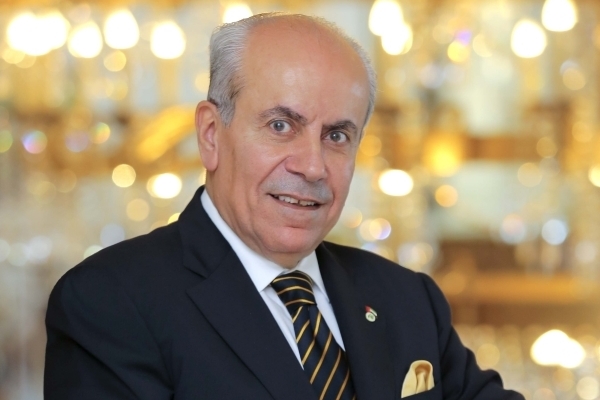 A seasoned hospitality management professional, Abu Omar has played an active role in successfully launching several of the Group’s landmark properties, most notably the Metropolitan Beach Resort & Club, Metropolitan Palace Hotel Dubai, Metropolitan Palace Hotel Beirut, Habtoor Grand Beirut and Habtoor Grand Resort in Dubai. His personal philosophy of striving to perform each day better than yesterday aligns with his assertive and compelling management style, which has proven to drive steady results. Prior to his appointment as General Manager at The Ritz-Carlton Budapest, he served as Chief Executive Officer of Habtoor Hotels from 1999 to 2011 and led the rebranding of four and five-star properties under the Habtoor Hospitality brand. Abu Omar started his career as Sales Executive at the Metropolitan Hotel Dubai where he spent 10 years in various positions, with an emphasis on sales and marketing until he was appointed General Manager for the legendary Dubai property in 1992. The original Metropolitan Hotel, which was built in 1979, was demolished to make way for Al Habtoor City, a landmark development incorporating three five-star hotels, three luxury residential towers along the Dubai Water Canal. He also held the position of General Manager for the Metropolitan Beach Resort & Club, today rebranded to the Habtoor Grand Resort, Autograph Collection. Abu Omar attended Cornell University with a concentration on hotel advanced management and holds a Bachelor of Science in business management and chemistry from the University of Jordan. He has served as member of the first Hotel Committee of Dubai Department of Tourism and Commerce Marketing. In 2009, he was named Hotelier of the Year in Jordan as well as one of the top 50 influential hoteliers in the Middle East, as selected by Hotelier ME magazine. As the Middle East's longest established hotel group, Habtoor Hospitality has carved out a reputation for its exemplary service, and unique properties in the best locations. The Al Habtoor Group’s hospitality portfolio has expanded rapidly into iconic destinations including Dubai, London, Beirut, Vienna, Budapest and Springfield, Illinois. The Dubai-based hotels include the Al Habtoor City Hotel Collection (Habtoor Palace, LXR Hotels & Resorts; V Hotel, Curio Collection by Hilton; and Hilton Dubai, Al Habtoor City), Waldorf Astoria Dubai Palm Jumeirah; Habtoor Grand Resort, Autograph Collection; Metropolitan Hotel Dubai and the Al Habtoor Polo Resort in DubaiLand. International properties include The Ritz-Carlton Budapest, InterContinental Budapest, Hilton London Wembley, Hotel Imperial Vienna, President Abraham Lincoln Springfield – A DoubleTree by Hilton Hotel, Hilton Beirut Habtoor Grand and Hilton Beirut Metropolitan Palace.